Rev. Meng Mua is the Senior Pastor at New Life in Christ Church in Brooklyn Park, MN. He is married to Pang with four wonderful children Joanna, Susanna, Justus and Jubilee. 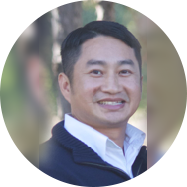 Meng has a Bachelor of Science in Missiology, Masters in Intercultural Studies and his Masters of Divinity at Bethel Seminary.